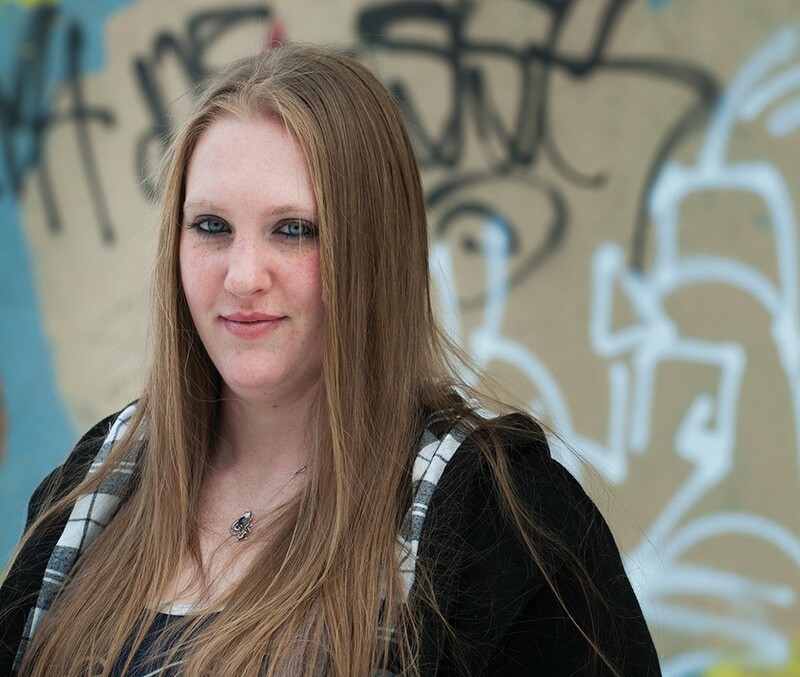 Chelsea Shanda endured two assaults while working at Eastern State Hospital. Chelsea Shanda can take a punch. When she applied to work as a mental health technician at Eastern State Hospital, she was prepared to do so. She knew that attacks from patients were a part of the job. "I acknowledged before I even applied to the hospital that I would get hit eventually," she says. "It was not a question of if, but when was it going to happen." The first time the 27-year-old was assaulted by a patient was in May 2016, about a year and a half after she started working at the state-run psychiatric hospital. That patient had lost the privilege to go outside and smoke a cigarette because he refused to comply with his treatment plan. Despite this, the patient pushed his way past staff and other patients to the yard, Shanda says. She was telling him to go back inside when he punched her in the face multiple times. The back of her head crashed against a window and her nose gushed with blood. She curled up in a ball on the floor, but the man, who Shanda describes as a "UFC fighter" weighing more than 300 pounds, continued to hit her until patients pulled him off. Staff stood by and watched, Shanda says. Intervening could put their jobs in jeopardy. Shanda returned to work about two weeks later, and was on the receiving end of another patient's punch within a month. This time, her eye turned black and blue and swelled shut. She missed two months of work, and was told to get a psychiatric evaluation. A psychologist determined that she had post-traumatic stress disorder and post-concussion syndrome. The doctor ordered counseling. Assaults perpetrated against those in the health care industry are nothing new, especially in a mental health or emergency care setting. Yet it's a problem that raises serious questions about patients' rights to treatment and workers' rights to be safe. Health care employees who treat mentally ill, drug-addicted and psychotic patients must constantly walk the thin line between a moral and legal obligation to provide care and holding patients accountable for acts of violence, says Kelly McGinty, a nurse practitioner in a local emergency room. "This is a very sensitive topic," McGinty says. "Are we violating their civil rights by restraining them in order to provide care when they are actively violent or psychotic? Do we allow them to assault us because they're mentally ill or high on meth?" Derrick Alexander was detained at Sacred Heart Medical Center following attempts to end his own life. Shortly after, in September 2015, he was transferred to Eastern State Hospital because of a "grave disability" and diagnoses for multiple mental illnesses, according to a psychologist's report in his court file. Alexander, who was not available for an interview, has a documented history of auditory and visual hallucinations of "shadow people" who tell him to end his life, public documents say. He has attempted suicide before and has cycled in and out of psychiatric treatment. He was arrested at Eastern State Hospital in March 2016 after allegedly assaulting four staff members. According to court documents, Alexander became agitated when staff would not allow him to have his blanket. He is accused of punching, kicking and biting three staff members and spitting in the face of another. He's been sitting in the Spokane County Jail ever since as attorneys argue whether he is able to understand the charges against him and can stand trial. Two psychologists have evaluated Alexander recently and came to opposite conclusions. "A trial would occur all around Mr. Alexander while he focuses on issues not relevant to his case," his public defender writes in court documents. The incident with Alexander is not an unusual scene for emergency rooms or psychiatric wards. Spokane Deputy Prosecuting Attorney John Grasso says that, on average, he files charges against patients for assaulting a health care worker about once per week. "We get these cases regularly," he says. "We see them quite often." Patients can be charged with a felony-level assault for anything from spitting to slapping to biting to shoving to punching to kicking employees. Grasso adds that he tries to avoid charging patients who accidentally hit a nurse because they're flailing in pain. "It has to be an intentional act to assault," he says. "That's what I'm looking for. It's not uncommon to have a case with mental health issues or drug issues. Some of them are just angry and don't like the treatment they're receiving." Still, attorneys and some health care providers struggle with the decision to charge someone criminally for an assault committed while they're drunk or high, or that can be attributable to severe mental illness. 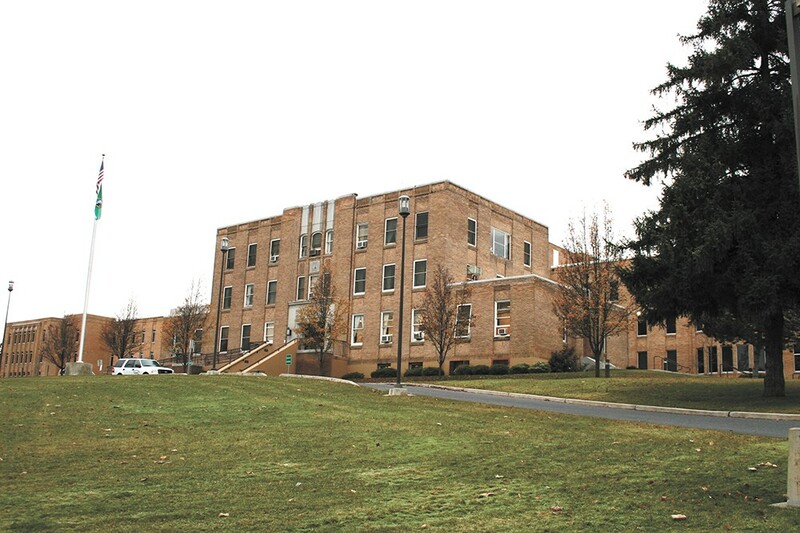 Andrew Biviano, a local attorney and a former mental health caseworker, has represented patients and employees of Eastern State Hospital on a variety of issues. As a caseworker, he's also been assaulted by patients himself. "I do know it's an issue among staff at Eastern State Hospital in particular," he says of the difficult decision to press charges against patients. "They maybe want charges and someone taken to jail, but there's a clinical question of whether we can hold it against this person and treat it as a criminal or clinical matter. That's why they're here, for psychotic issues, and we shouldn't hold that against them." Reports at the state and national levels support the notion that this is a significant problem in the United States. • A 2011 investigative report by Seattle public radio station KUOW found that the most violent job in Washington state is a nurse's aide. Specifically, the report says employees in psychiatric hospitals, like Western State Hospital, are assaulted while working 60 times more than the average worker in the state. • The Associated Press in 2015 found that attacks on Western State Hospital employees contributed to millions in medical costs and worker shortages — to say nothing of the concussions, fractures, bruises and cuts suffered by workers. • A 2016 review article in the New England Journal of Medicine determined that violence in a health care setting is underreported, ubiquitous and persistent. • And last April, Washington Sen. Patty Murray announced the release of a report from the U.S. Government Accountability Office finding that health care workers throughout the country experience "substantially higher estimated rates of nonfatal injury due to workplace violence compared to workers overall." According to the Bureau of Labor Statistics, incidents of violence in a health care setting that caused workers to take time off work increased by 12 percent from 2011 to 2013. "This is unacceptable," Murray said then. "These professionals do vital work in hospitals and other health settings to care for our loved ones, our neighbors and our communities." That report also concluded that there are currently no federal standards for violence prevention, only voluntary guidelines. Murray called for the Occupational Safety and Health Administration to change that. In January 2017, OSHA announced that it will develop an enforceable violence prevention standard. Washington is one of only a few states to install preventative policies in hospitals, such as recordkeeping, worksite analysis and training. For McGinty, the nurse practitioner, training and the presence of security guards are big reasons she believes she's personally avoided physical attacks, though she says she is verbally assaulted several times a week. The training teaches nurses how to de-escalate agitated patients, McGinty says, and how to respond if a patient tries to physically assault them. "Basically, the provider must feel the patient is a danger to themselves or others, and there are no other alternatives, before we place them in restraints," she says. The situation is slightly different for mental health technicians like Shanda, who says that generally, employees are taught how to escape from a patient's attack, but must walk a fine line, because using too much force can put their jobs in jeopardy. Kelly Stowe, a spokeswoman for the Department of Social and Health Services, which runs Eastern and Western State hospitals, says that Eastern State has formed a special team to respond to violent situations. Those people are "trained to provide a safe, effective and immediate plan of response for individuals in a psychiatric crisis, particularly when danger exists for the patient or staff," Stowe writes via email. "Verbal intervention tools are used prior to physical interventions, which are only applied when able to be performed safety." Health care workers at psychiatric hospitals are 60 times more likely to be assaulted at work than other state workers, according to KUOW of Seattle. Pictured here is Eastern State Hospital. Shanda says she had a good rapport with the man who attacked her last May. They would talk casually and bonded over a shared appreciation for the band Ace of Bass. Now, the scar on the bridge of her nose is a constant reminder of the day that left her rattled. Shanda says she has trouble sleeping and forgets things. When she returned to work, she didn't feel safe. Not for fear of the patients, she says, but because no staff came to help her. In December, Shanda says she was fired without being told why. She was heartbroken. It was her own experience with mental illness that fueled her desire to work with people struggling with similar issues. As a teenager, doctors told her that she might have borderline personality disorder, bipolar disorder or major depression. "Then I had my daughter and flipped my life around," she says. "I haven't been on medication since, but I know what it's like to feel like a lab rat, and for people to call you crazy and say you're messed up." Now, she wants to continue working with people struggling with a mental illness. She's thinking about becoming a nurse, despite the dicey situations health care workers can face. In general, health care workers have the right to request not to treat a person they do not feel safe around; however, the hospital cannot refuse to treat a person. Patients have a right to treatment and to a minimum standard of care.